We're back from Spring Quilt Market at photo with photos to share! Take a virtual tour of our booth--plenty of quilty goodness to see, inspiration for your next project, and new collections to look for at your local quilt shop! 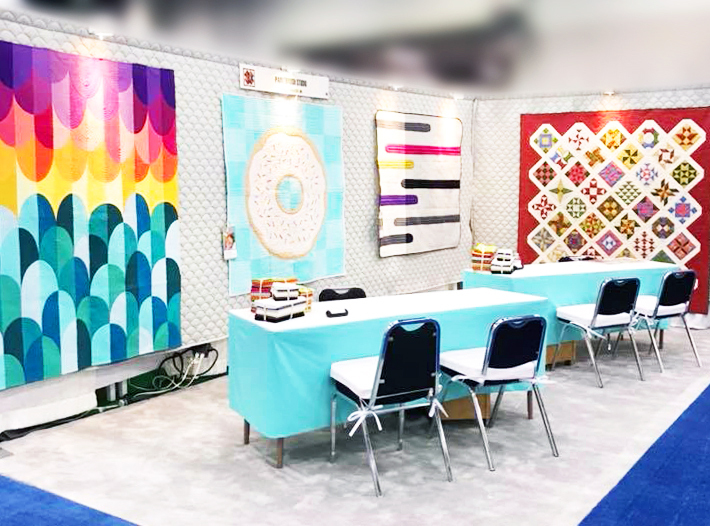 That gorgeous rainbow on the far left is Elizabeth Eastmond's Annularity II quilt (@occasionalpiecequilt). 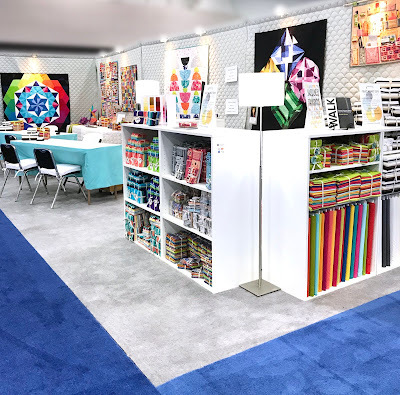 In the foreground, you see our pop-up shop. Plenty of quilt shops went home with fabric bundles--ask if your local store bought some! 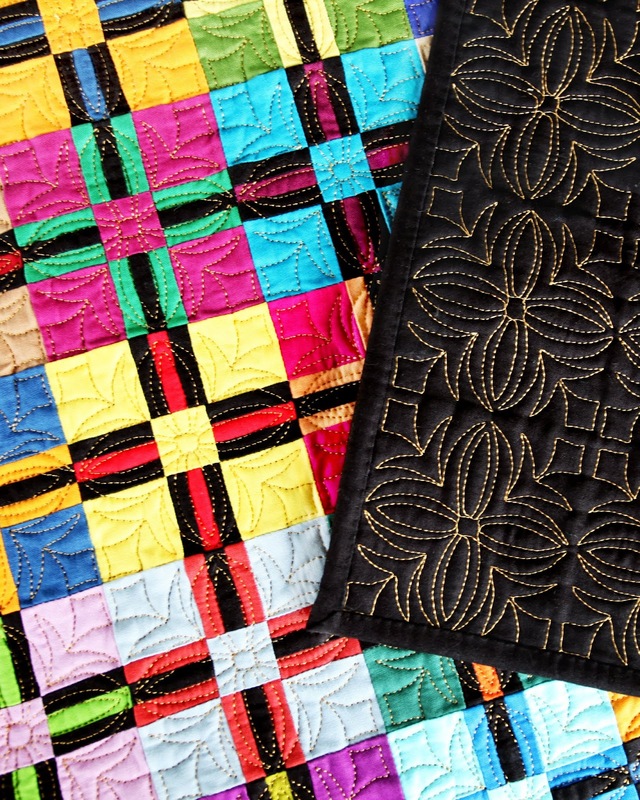 More bundles ready for a new home: Mad for Solids Final Four palettes, On Your Mark, Hoodie Crescent's Ring Ring, Portofino, Mod Tropics and batiks! 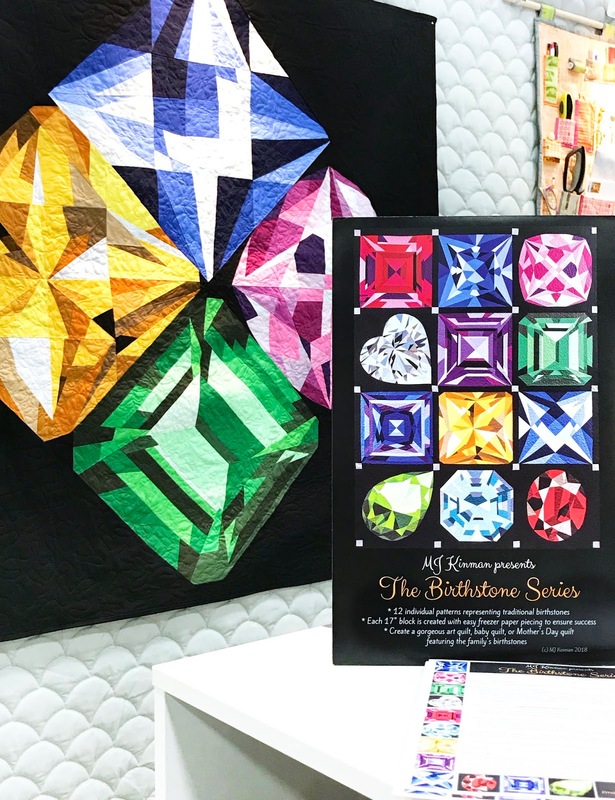 This fabulous quilt is from M.J. Kinman's The Birthstone Series. Amazingly detailed and dimensional jewels, all using Painter's Palette Solids. 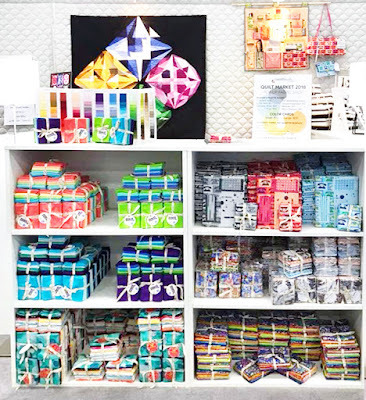 Diamonds may be a girl's best friend, but we'll take an amethyst, topaz and ruby as well! Wow! 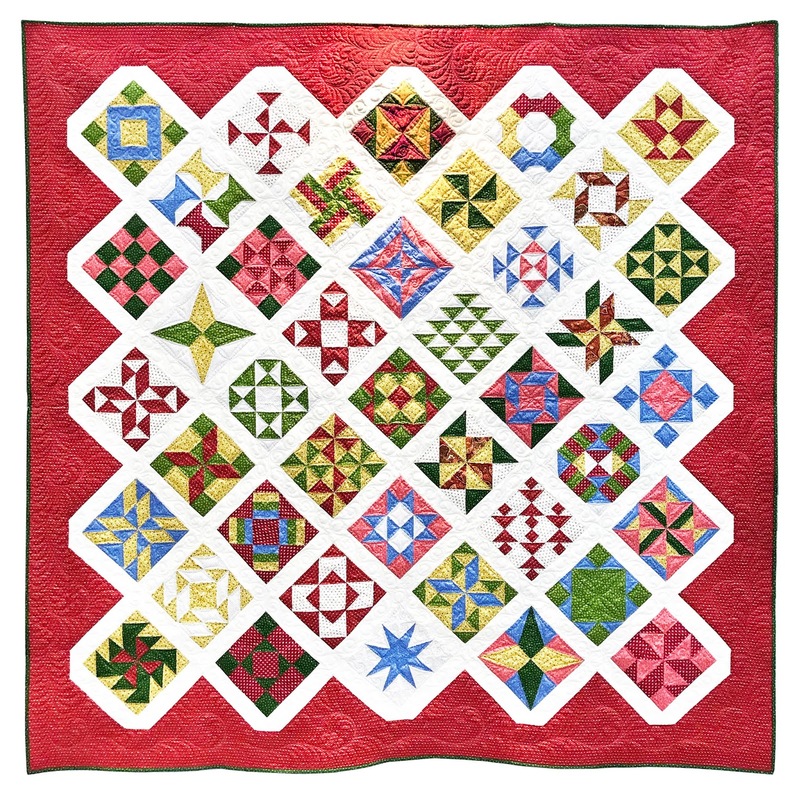 Here's your first look at Barbara J. Eikmeier's Manzanita Grove BOM quilt, featuring her Manzanita Grove collection. 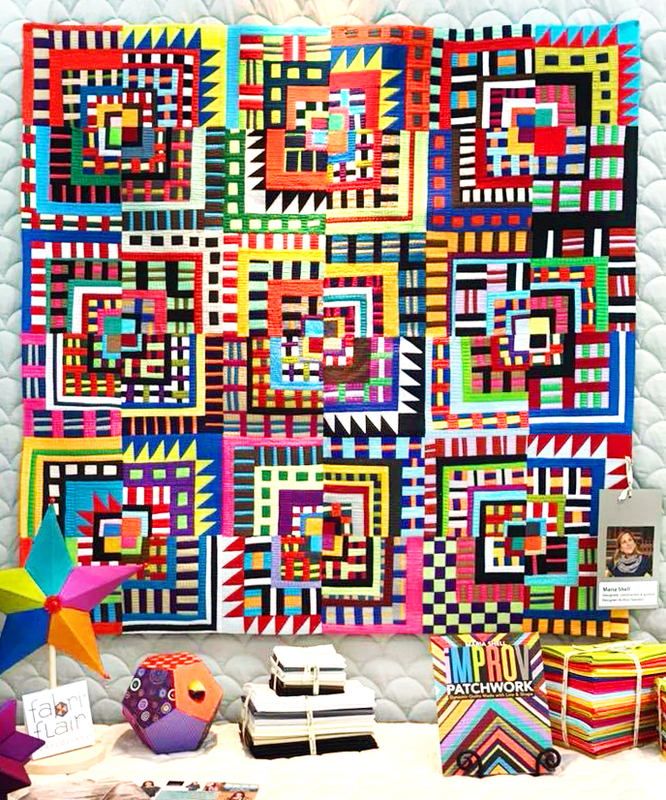 We introduced Barb's new line at Quilt Market; ask your local quilt shop about participating in the BOM program (starting in September 2018) to make this stunning quilt. 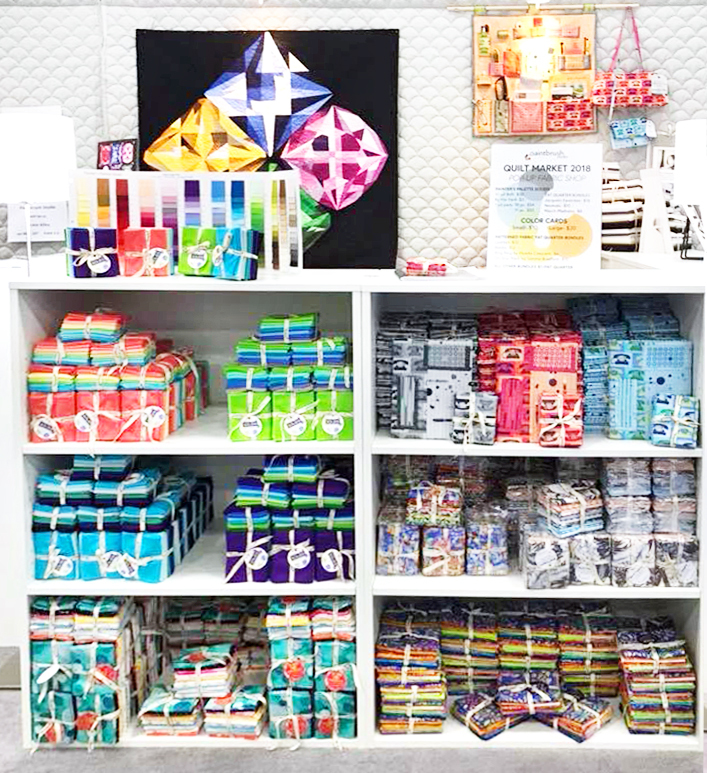 Hoodie Crescent's Ring Ring collection, featuring retro telephones, ink pens, pencils and more, was a huge hit! 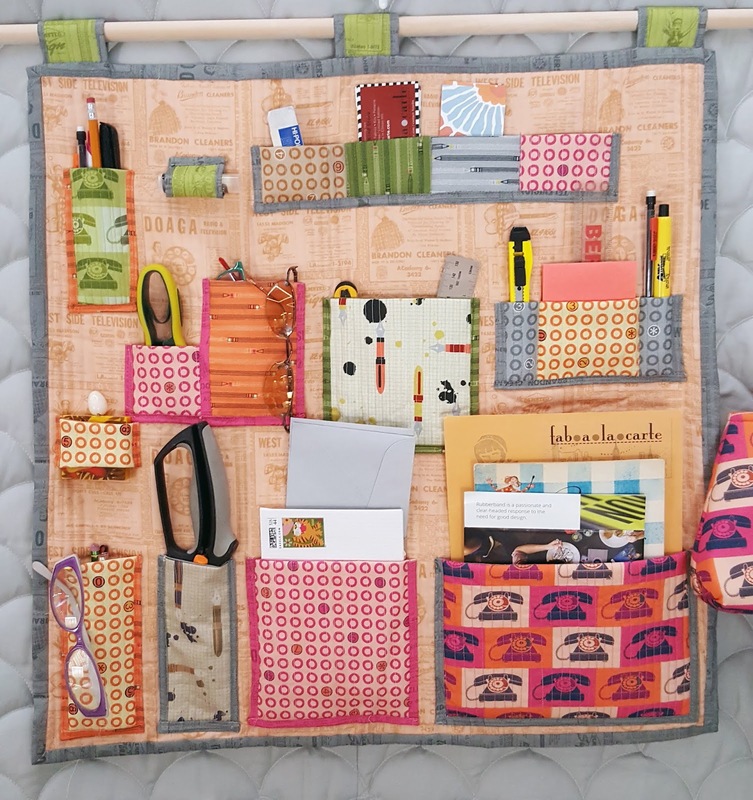 This wall organizer showcases the unique prints in the fabric line. Maria Shell's (@mariashellart) Mosh Pit at the Golden. 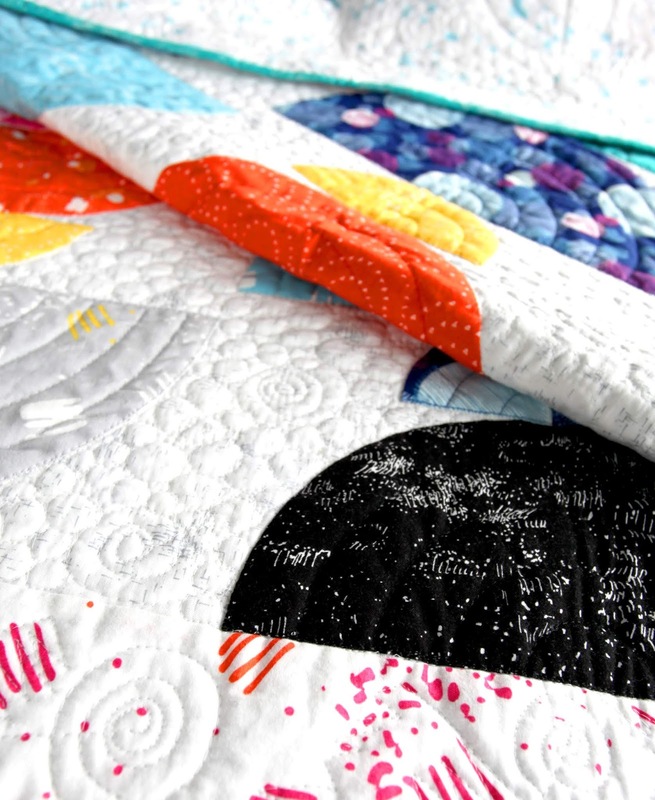 There's so much fun going on in this quilt! 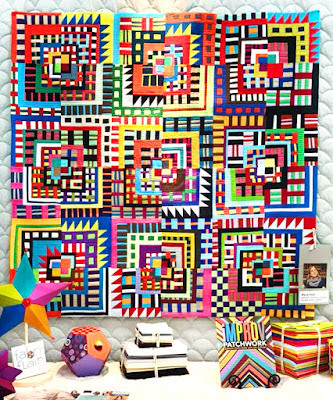 Warp and Weft quilt by Donna Lynn Thomas, from her book Teeny-Tiny Quilts. Love the colors and the quilting! Have you downloaded the free pattern for On Your Mark by Simone Bradford (@simone.g.b.)? Here's a close-up of the quilting--beautiful! 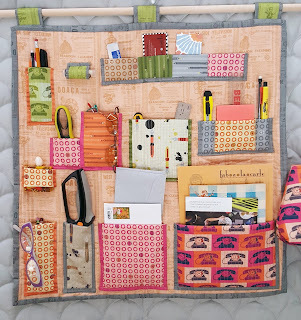 We'll be sharing more about the new collections featured at Quilt Market in the coming months! Love the tour! Thank you! 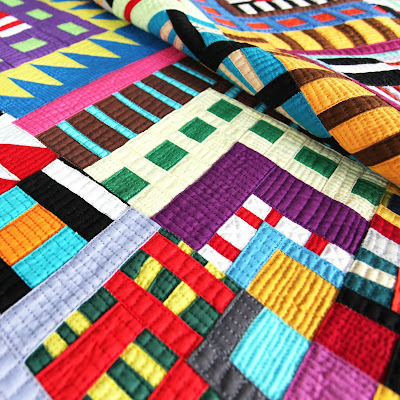 I am in love with all the color.